It’s hard to stay mad at a dog who knows what it must do to earn its owner’s forgiveness. 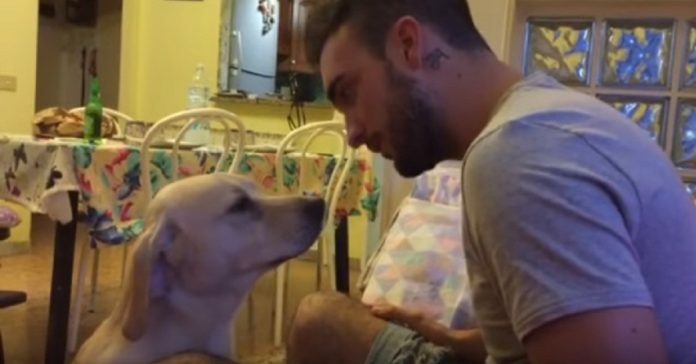 Italian dog owner Anthony Federica Granai had exactly that interesting experience and the world was a witness to just how cute and sweet dogs can be when they want to say they’re sorry. 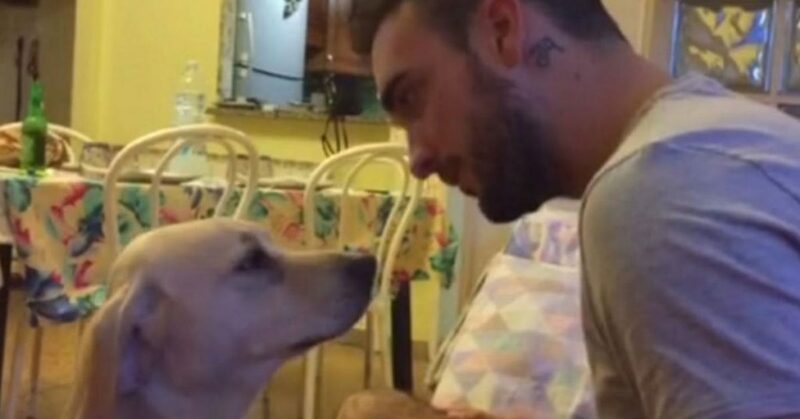 Antonio, who is based in Tuscany, Italy, uploaded a video of his exchange with his dog, Ettore. In it, Antonio was scolding his dog for something he did. Now, it was quite unclear what bad thing the dog was up to but it was pretty obvious Ettore was quite guilty based on his reaction as his master reprimanded him. When Antonio did not stop berating him in Italian, the dog decided to turn on his charms. 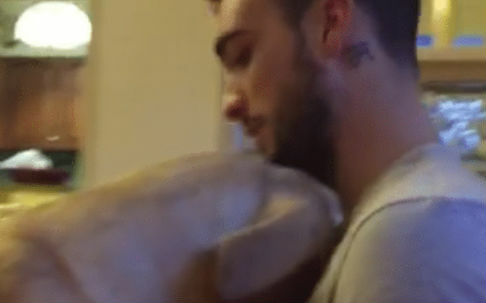 Ettore buried his head on Antonio’s chest as if to tell his owner that he’s truly ashamed and sorry. But Antonio pretended that he did not understand what his dog was trying to say. The exchange went on for a few more minutes because Antonio refused to make up. So, Ettore tried another tactic when nuzzling did not work. He went full-on cute by crawling onto Antonio’s lap to make eye contact. 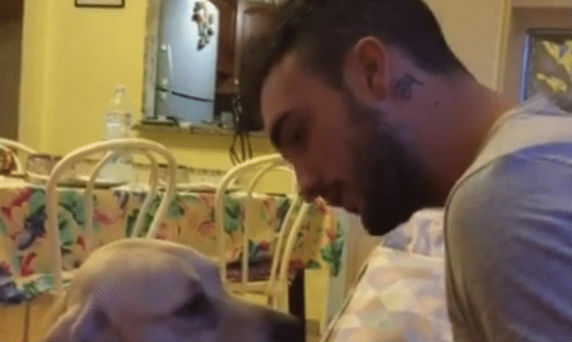 But the dog owner could still be heard asking Ettore in the video if he realized his mistake. Ettore would respond by looking at its owner with its puppy-dog eyes so Antonio would show him mercy. When his master still would not budge, Ettore proceeded to nuzzle Antonio even harder until he could no longer contain the cuteness. The grown man just had to laugh after everything and tell his dog that all is right with him. Antonio and Ettore’s video reached over 32 million views. Later on, the Italian chap revealed that he actually shares the dog with his girlfriend Federica Riccardi. They got Ettore, who’s a Labrador mix, some six years ago. They said that the pup does have several naughty moments. In fact, Ettore has destroyed a few sofa seaters, some of their shoes and four pairs of glasses. They have reprimanded the dog every time but he’d always turn on his charm. It’s like Ettore knows what his humans’ weakness is. Antonio also had to clarify why he was berating the dog in that viral video. Apparently, Ettore dug a hole in their red couch yet again. Federica said that this red couch is the dog’s favorite hangout and they’ve had it repaired many times over. The couple shared that although Ettore is destructive, he’s a sweet dog through and through. The pup actually likes giving them hugs, especially when he knows he’s been a bad dog. If he’s not turning on the charms, Ettore also hides in a closet behind a door in their bedroom and he won’t come out until his owners would ask for a cuddle. Federica believes that while disciplining a dog is important, it’s also vital to show them good will. She said a dog will pay back its kind-hearted masters even more with love if he’s been showered with the same affection.